Look out! Disney's The Little Mermaid - 2 Disc Special Edition is finally here! My wife absolutely loves this movie, so she was excited to see it get the re-mastered 2-Disc Special Edition treatment. I enjoyed the movie too when I originally saw it... a long, long time ago. Too long ago, in fact. When we actually sat down to watch it last night, I couldn't hardly remember a thing about it. And that's actually a good thing, because once again I was kept entertained all the way through. The first thing we noticed as we started watching it was that this an old-school cartoon. And I mean that in the sense that it uses colored cells, and so doesn't have that super-crisp, bright, perfectly uniformed color that you find in every current cartoon nowadays. Man, talk about spoiled! It was a little off-setting at first, but it didn't take long for either of us to get over it and stop noticing. 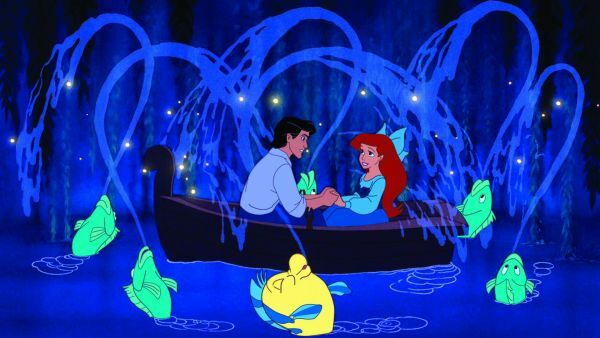 So when Ariel swims to the surface and sees a handsome prince dancing on his ship, she instantly falls in love. But then a huge storm picks up, the prince's ship catches fire, and he is blown overboard by an explosion. Ariel, seeing this, rescues him. As the prince starts to awake, he hears her song and then just catches a glimpse of her before she disappears. Now, while the prince searches for his mystery woman with the lovely voice, Ariel enters into a pact with the evil seawitch Ursula to make her a human. The catch: she only has three days to get the prince to give her a kiss of true love, otherwise she will revert back to a mermaid and become Ursula's property. The other catch: Ariel has to give up her voice to Ursula. Sounds like a pretty one-sided contract if you ask me. So now our lovely young maiden finds herself with only 3 days to find the prince and have him give her a kiss of true love, all without her voice... which is going to prove difficult considering the prince is still searching for his mystery woman with the lovely voice. And then of course we all know that evil Ursula isn't just going to stand by and let her succeed, as she's is bound and determined to take the crown from King Triton, no matter the cost! As I understand it, the story by Hans Christian Andersen on which this film is loosely based doesn't quite have a happy ending... but this is Disney we're talking about here, so of course they're going to make it have a happy ending. I've never read the story by Hans Christian Andersen so I can't really compare the two, but Disney's version is definitely worth watching. Besides having great animation and an interesting story, the songs are also quite enjoyable. Normally I don't like songs in my movies, but this is one of those rare occasions when I actually think they work really well. There are a few extra features on the first disc, such as an audio commentary by several of the people involved, a section where you can listen to the various songs (and view optional on-screen lyrics), a live-action music video for the song "Kiss the Girl", a sneak peak at The Little Mermaid III , and even a preview of disc two (what's that about?). 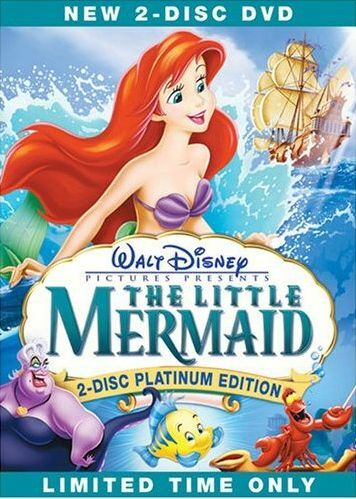 The second disc of this of this 2-disc set contains most of the extra features, such as the deleted scenes, the making-of the movie, the special effects stuff, adapting the story from the original Little Mermaid story by Hans Christian Andersen, and other such goodies, including stupid little games that kids might like. So to sum up, if you don't yet own The Little Mermaid , then this is worth picking up. Disney's The Little Mermaid - 2 Disc Special Edition will be available on October 3, 2006... and we will definitely be getting a copy! My wife was so happy to hear that... but until that time comes, you'll have to make do with a trailer lasting over a minute and a half, a trailer lasting about 30 seconds, some lovely pieces of artwork, and the following brief plot outline that was written by someone other than myself. OH! BUT WAIT!! I can't leave you with just those tiny little tidbits! Here's a bunch more info that I lifted from the Press Release at UltimateDisney.com. Shhhh... don't tell! Actually, you'll probably want to go there 'cause they have some cool pictures from the bonus features. I also found on that page that the first volume of Darkwing Duck was released on August 29!! Why did nobody tell me this?! Darkwing Duck was, and still is, one of my all time favorite non-anime cartoons. If only I had some money, I'd rush right out into a buying frenzy! Unfortunately this website chews up a lotta green, and I just spend what I had on Season 8 of The Simpsons... hm, maybe I'll start dropping hints for Christmas. BURBANK, Calif., February 6, 2006 - On October 3, 2006 Walt Disney Home Entertainment proudly opens the vault to debut a spectacular new two-disc Special Edition of the most-requested Disney DVD title ever, the Academy Award-winning (1989 Best Song and Best Original Score), THE LITTLE MERMAID. The first time ever on a two-disc DVD, the eighth addition to Disney's acclaimed 'Platinum Collection,' this highly-anticipated release is accompanied by an expansive Walt Disney Company-wide celebration, including a huge continuing partnership with Disney Consumer Products (DCP) that builds on the overwhelming popularity and success of 2005's Cinderella Home Entertainment and Consumer Products campaign. That partnership saw Cinderella become one of the top-selling DVD titles of the year, with sales exceeding even those of recent theatrical releases with a gross box office of over $100 Million, as combined incremental sales from both entities generated one of the highest values in company history. THE LITTLE MERMAID Special Edition DVD will be one of the biggest entertainment events of the year, with a huge DVD marketing campaign, augmented by DCP licensee campaigns which also drive huge awareness to THE LITTLE MERMAID franchise. Utilizing all the film's favorite characters including the #1 most beloved Disney Princess (Ariel)*, the consumer products campaign will take retailers and consumers 'Under The Sea' with over 1,500 exciting all-new products, across all product categories. The highly-anticipated THE LITTLE MERMAID Special Edition DVD release is awash with exciting new bonus materials that entertain and enlighten viewers about the world of THE LITTLE MERMAID. Complete and specific details about all the exciting bonus features are forthcoming! Just as with the overwhelmingly successful October 2005 CINDERELLA DVD and Consumer Products partnership that helped drive Disney Princesses to becoming a $3 Billion Franchise in 2005, the expansive DCP product launch will follow a consistent DVD and licensed product packaging logo and look. Linking THE LITTLE MERMAID DVD with existing products and all-new SKUs licensed in celebration of the DVD release, DCP's 'Little Mermaid Reflections' products will sparkle and shine utilizing an array of fabrics and textures ' from pearls and sequins to glitter and iridescent fabrics. Key licensees including Mattel, CDI, Playmates, and Hallmark will begin releasing products in summer 2006 with an increase in September leading up to the October 3 DVD release. Not available in any form of home entertainment from Disney for seven years, THE LITTLE MERMAID combines music, fun and excitement to become one of the company's most cherished films. Ariel, the fun-loving and mischievous mermaid, is enchanted with all things human. Disregarding her father's order to stay away from the world above the sea, she swims to the surface and, in a raging storm, rescues the prince of her dreams. Determined to be human, she strikes a bargain with the devious seawitch, Ursula, and trades her fins and beautiful voice for legs. With her best friend, the adorable and chatty Flounder, and her reluctant chaperone Sebastian, the hilarious, reggae-singing Caribbean crab, at her side, Ariel must win the prince's love and save her father's kingdom ' all in a heart-pounding race against time! Drawing from a talented 'pool' of vocal talent, THE LITTLE MERMAID's leading roles went to actors with extensive musical theater backgrounds. 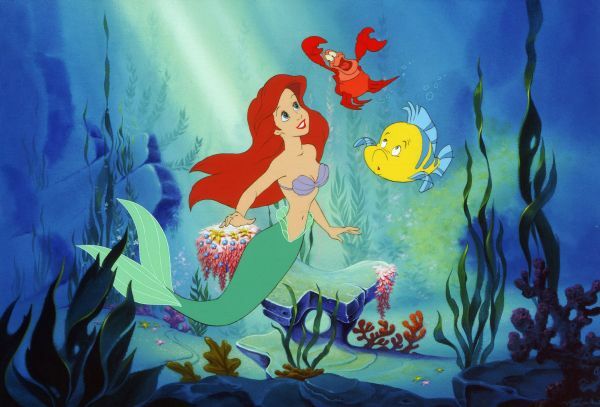 As the voice of Ariel, voice-over and Broadway star Jodi Benson supplies the perfect blend of innocence and wide-eyed wonder to the independent young mermaid. Hollywood legend Buddy Hackett turns in a top-flight performance as the squawking seagull, Scuttle, and stage veteran Pat Carroll provides the villainous voice of the crafty seawitch, Ursula. 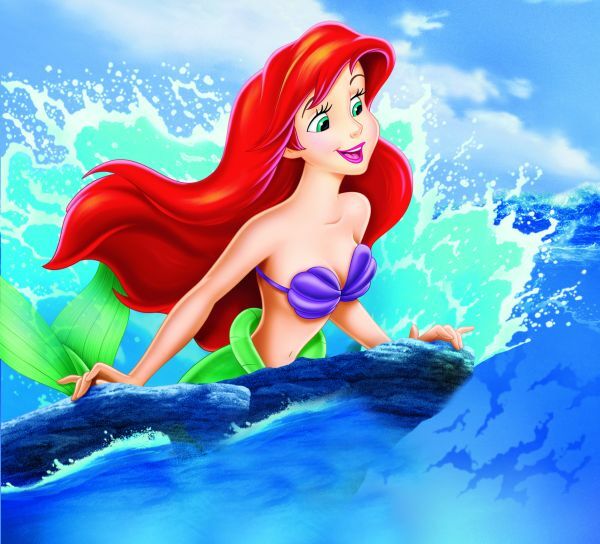 To create the infectious score and seven original songs that garnered THE LITTLE MERMAID's two Academy Awards', Alan Menken and Howard Ashman teamed-up for the first time on a Disney Animated Classic, spending 18 months developing the film's 1989 Oscar.-winning 'Best Original Score,' as well as 'Under the Sea,' Academy Award'-winning 'Best Song.' 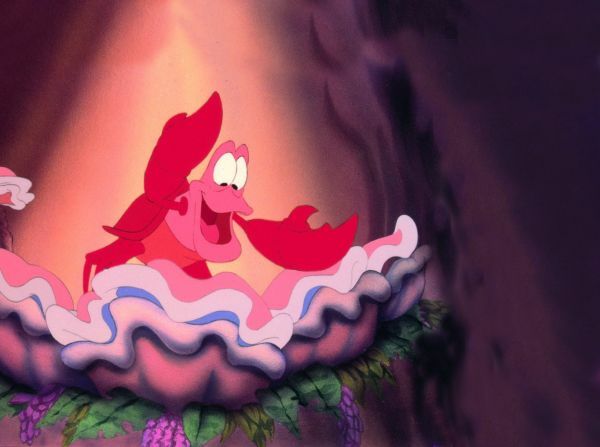 Other show-stopping songs from THE LITTLE MERMAID soundtrack include 'Part of your World,' which articulates Ariel's desire to become human; 'Poor Souls,' a cabaret-style tune delivered by Ursula following Ariel's transformation from mermaid tail to legs; 'Les Poissons,' a hearty dash of musical slapstick from the palace chef, Louis, and 'Kiss The Girl,' crooned by Sebastian and a 'doo-wop' chorus of grasshoppers, pelicans, flamingos, frogs, ducks and turtles. THE LITTLE MERMAID was released theatrically in 1989, grossing almost $180 Million at the domestic box office (adjusted to 2005 dollars). It went on to become one of the top 10 best-selling animated films of all time on VHS.